Active in the field of mechanical and electronic key and code locks. 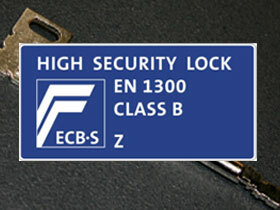 High security locks according to EN 1300 are classified in four lock classes (A, B, C and D). 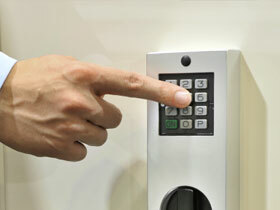 High security locks can be electronic or mechanical as key or code lock. During precisely defined tests high security locks are e.g. tested against the resistance of destructive attacks and manipulations by using mechanical or electronic tools. Further aspects are the vulnerability against electronic, electromagnetical and physical influences as well as the susceptibility of corrosion. Not only security aspects but also handling is an important factor for the investment decision - the lock should also be easy to use. In contrast to key locks, electronic locks with a numerical code have the advantage that a code not have to be carried around. In addition, they are particularly convenient: An intelligent locking system enables to programme and manage individual codes, code groups and hierarchies including the respective authorisations. The options include time lock functions for holiday periods, time delays, threat alerts and much more. Some systems feature an integrated mechanical or electronic redundancy. 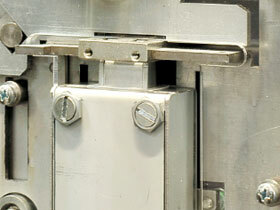 In the event of failure, they switch to the redundant lock – which increases reliability of operation. The Lock Guide ECB•S R01 states all the recognized locks which can be mounted into an ECB•S certified secure storage unit. An overview of certified locks can also be found in the electronic product locator. In addition each lock must be approved by the certification body for every single secure storage unit. Not every lock can be mounted into every boltwork or secure storage unit. Sometimes it is possible to install a new lock into an old secure storage unit. However this does not mean that the product has the tested and certified resistance of the current European Standard afterwards.